American Roots abums of 2011! Finally got there! The list contains my top 16 albums of 2011. The choice was made simply by choosing albums that I have been playing all year, or at least since I first got them, and all are albums that I envisage playing for much of the foreseeable future! The more observant will notice that a couple were released in 2010, but they were in a stack of c.d’s that should have got played in 2010 but didn’t! There were probably another couple of dozen that were very close to making it to the list but I decided to keep it to those that I felt were career highights as well as ones that I am happy to play at any time or any place. 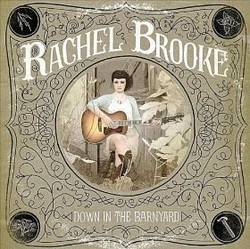 There is no particular order to the list apart from my number one album which is the incredible ‘Down in the barnyard’ by the incomparable Rachel Brooke! Also added is the new box set of The Byrds Complete Columbia Albums Collection. Much of this music is what helped to devlop my taste and led to my delving into ‘Roots’ music and consequently starting this web site following spells of writing for magazines and lecturing on music. Whilst many of the albums in the set are less than perfect, the Byrds music has been truly life enhancing for me and many other people, so I decided to, perhaps unfairly, add it to my list! All of the albums (with the exception of the Byrds box) have been reviewed on this site this year. Album of the Year, 2011. As usual, comments are welcome!! !